This walk features varying landscapes: fields and forests along the valley of the river Aubonne, the vast park areas of the National Arboretum, as well as the vineyards above Lake Geneva. Catch a BAM train from Morges to Bière across vineyards and the country-side to the Jura foothils. Starting out from Bière station, descend down to the valley of the river Aubonne, where a pleasant trail along the river takes you to the 130 ha site of the National Arbo-retum of the Aubonne river valley. This huge park unique to Switzerland presents 3,000 tree and bush species and varieties from all continents. On the bridge crossing (after the lake), a small 10-minute detour lets you discover a coalman's heap, the Wood Museum, Arb'Espace and a refreshment stall. On your return to the bridge, leave the Arboretum in the direction of Saint-Livres. Coming out of the forest you will enjoy a splendid view of Aubonne and its famous white tower. 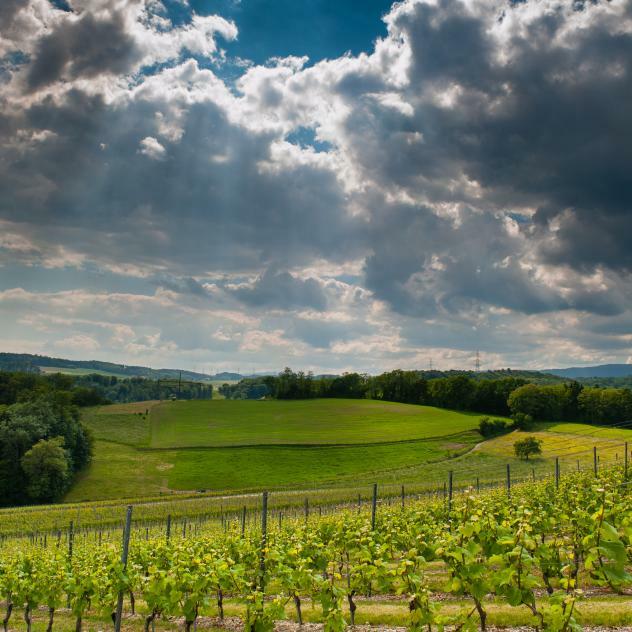 From Saint-Livres to Yens, a path above Lake Geneva will lead you along fields and vineyards. Signalization: Follow the yellow signalisation Arboretum - Saint-Livres - Bahnhof Yens. In former times the village of Yens was part of the baronage of Aubonne. During the Middle Ages a family of knights, bearing the name of the place, lived there. Yens can be discovered on a stroll through its forests full of different varieties of trees and mushrooms, by following the “Fumas” Trail and by going through the vinyard. The village of Saint-Livres is named after Saint-Libère, Pope from 352 to 366, to whom the first church was dedicated. Delimited by two rivers, l’Aubonne at the West and the Boiron at the East. Saint-Livres shares its boundaries with the villages of Aubonne, Montherod, Bière, Yens and Lavigny.